Learn, play, create and make connections with people and plants. My classes and workshops are a fun way to get closer to plants. Whether we’re creating festive holiday gifts, striding out on a herb hike or delving more deeply into growing, making and using your own plant medicines, you’ll take home a full set of printed recipes and instructions as well as a goodie bag stuffed with gorgeous products we have made or collected. Learn to create gorgeous handmade all-organic and natural skincare gifts at my HERBAL HOLIDAY GIFT MAKING class . You'll learn all the techniques and tricks to create your own, amazing customized products at home, including Body Butter, Hand Salve, Sugar Scrub, Lip Balm and more. TAKE HOME: Beautiful complete printed instructions and at least two of everything we make to gift - or keep! A total value which exceeds the cost of the class! And if you’re interested in booking The English Herbalist for a kids' birthday party, a baby or wedding shower or other special event, just get in touch to find out more. Stress affects us all and few are immune from at least occasional anxiety and sleeplessness. Herbs can help you and your family, reducing the feelings of stress and protecting our bodies, immune systems (and relationships) from its effects. At my MANAGE STRESS & BOOST IMMUNITY class you'll meet some safe and effective natural remedies, learn how to prepare and use them and take home two herbal preparations. Grow a Herbal Apothecary in your garden. 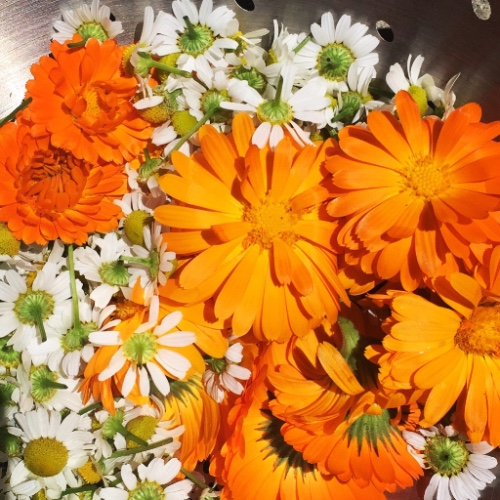 Discover 25+ medicinal plants you can grow in Santa Cruz and how you can use them. 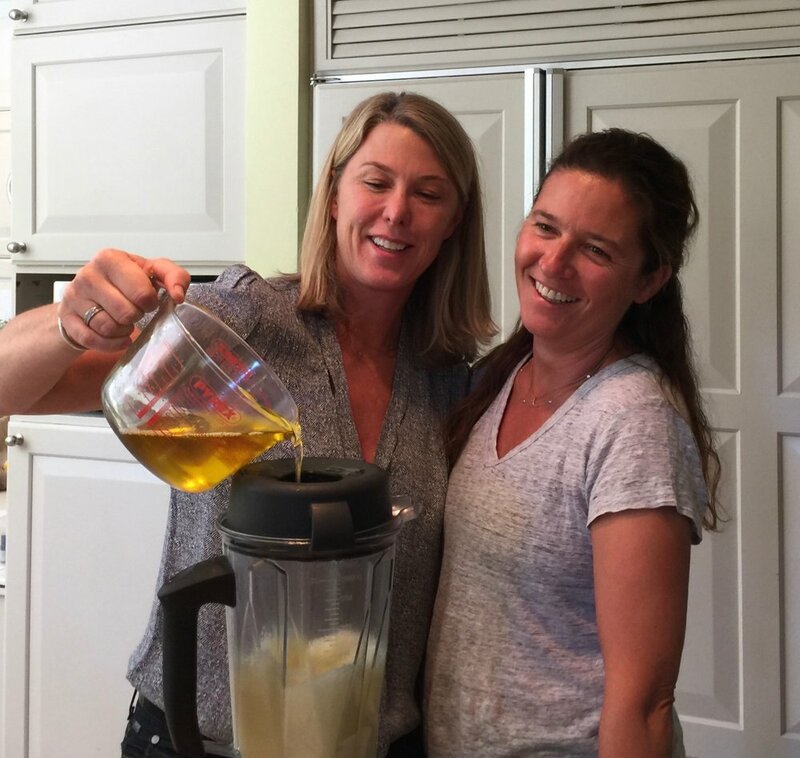 Learn how to transform your harvest into herbal medicines and skincare for you and your family! 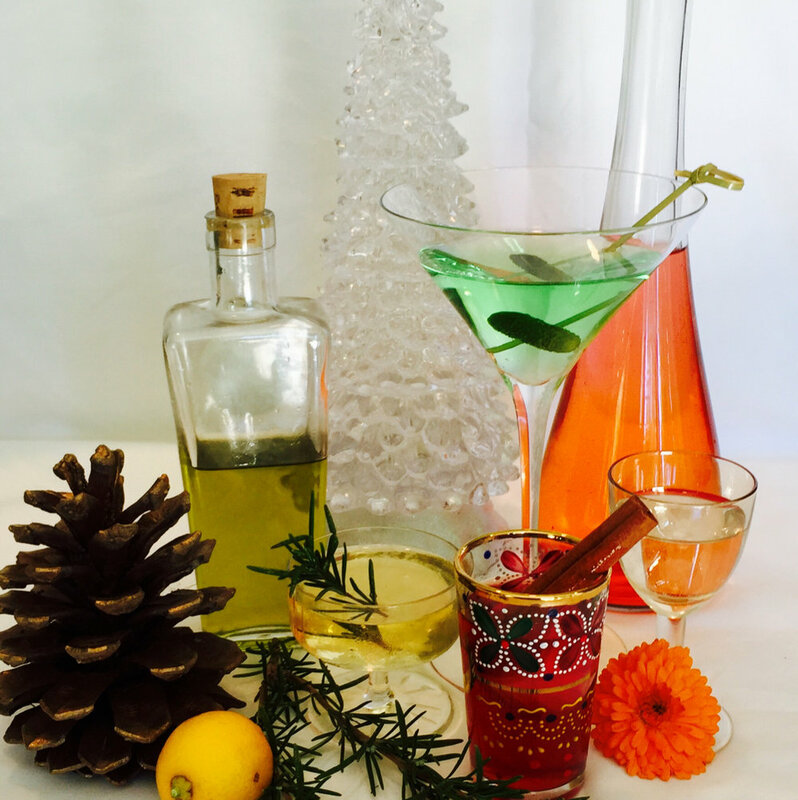 Get ready for the holidays by learning to create your own delicious herbal liquors, elixirs and bitters. At a fun and informal gathering we'll create — and sample — delicious cocktails and you'll TAKE HOME a selection to add to your home bar, as well as full printed instructions so you can make them at home to gift or keep! $85 (includes $15 donation to Santa Cruz Women's Health Center). Sign up with your email address to receive news and updates about upcoming classes.